In one of my classes this week, a student commented on the level of detail in Truman Capote’s In Cold Blood—and the number of commas too. 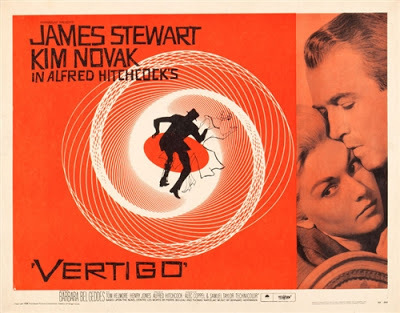 That sparked the idea for my post at SleuthSayers this week, which ultimately looks at how we bond with people over shared loves for this book or that film—specifically Vertigo in my case—or how differences of opinion might introduce small cracks in relationships. Early on in my teaching career, a fellow professor mentioned to me that she would never again teach Austen in her classes. Because she didn’t care for Austen herself? That was my assumption and my question. But it was the opposite, in fact: This professor loved Austen so much that she couldn’t bear to hear her students react negatively to the novels one more time. It was too heartbreaking. Better just to teach something else. Despite that advice, I’ve assigned texts to my syllabi that are among my own favorites—and, as predicted by that other professor, I’ve struggled more than once with students’ derision of them or dismissal of them. Dashiell Hammett’s Red Harvest comes to mind, and Stanley Ellin’s “The Moment of Decision,” and John McPhee’s “Search for Marvin Gardens,” and Nicholas Roeg’s film version of Don’t Look Now, and… There are many others—masterpieces all, I firmly believe this—but no matter how much I try to extol the virtues of each of them, endeavor to count out those virtues one by one, many students—too many—prove unmoved….